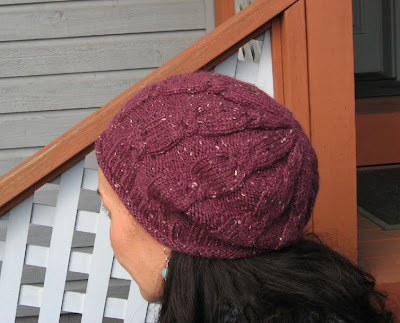 The Damson Slouch Hat pattern is available from Knit Picks for $3.99 as a pdf download. 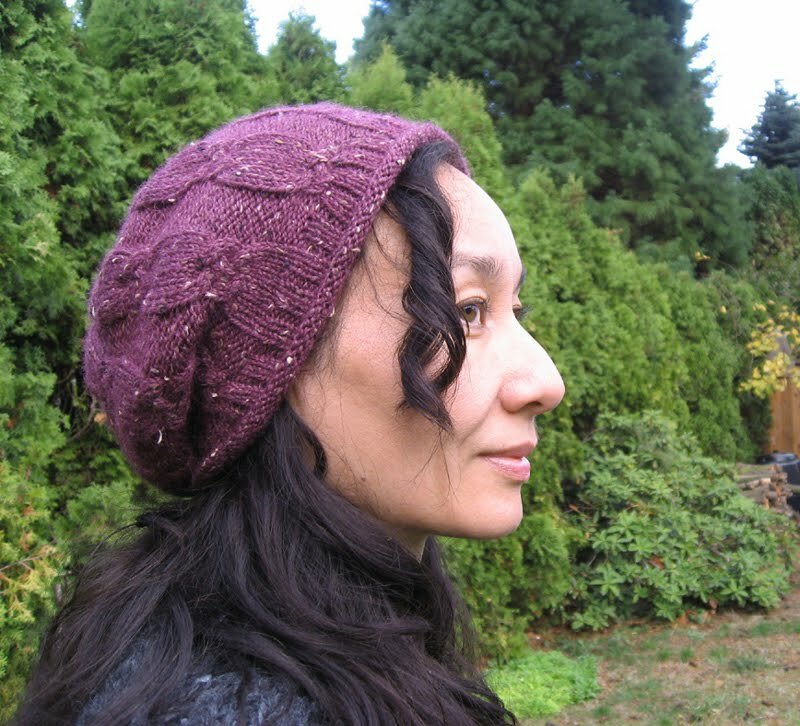 I love relaxed, slouchy hats. This one's easy to knit and fun to wear. The yarn is Knit Picks City Tweed DK. It's warm, soft, and drapey. I love the plum color, which manages to be earthy and bright at the same time. Needles: 16" circulars in US 4/3.5mm and US 7/4.5mm, and US 7/4.5mm dpns. If needed, change size to obtain gauge. Gauge: 1 cable rep slightly stretched = 4"/10cm (4.5"/11.5cm) after blocking. 28 rws over 4"/10cm. For reference, 22 sts/28rws over 4"/10cm in ST st. 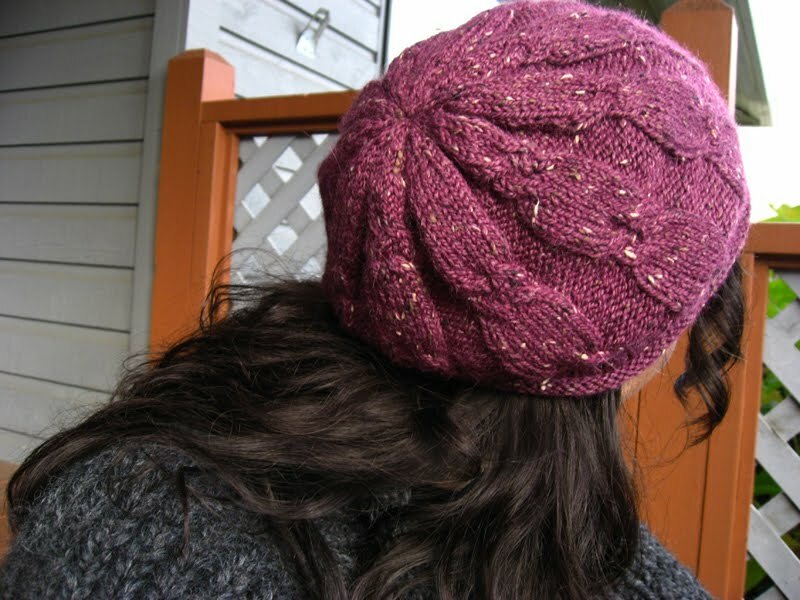 I usually make a new hat each fall/winter season. 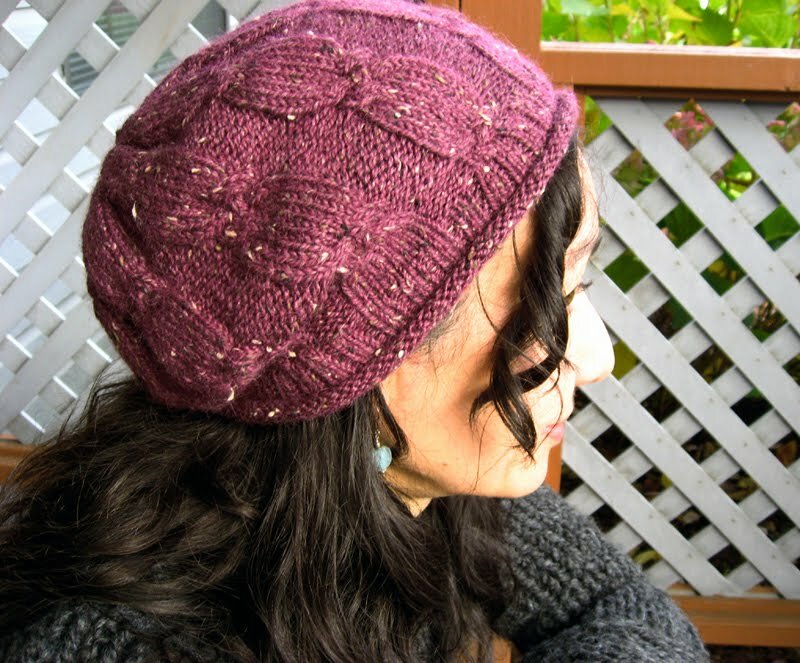 Last year, I made a Damson Slouch. Contemplating a new winter hat, but my Damson is still my favorite hat. Love love this hat. Wonderful pattern! Thanks so much, anonymous. Love it when one of my designs results in a happy knitter.